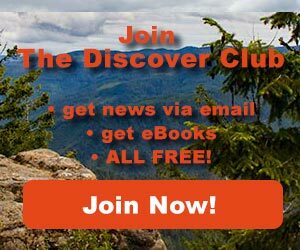 Outdoor News June 22, 2018 - Explore! 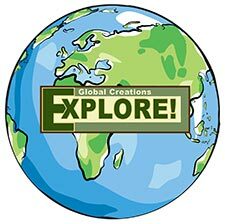 Outdoor News June 22, 2018 - Explore! 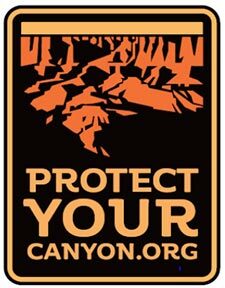 ProtectYOURCanyon.org” is a collaborative website sponsored by the Arizona Wildlife Federation and Arizona Trout Unlimited. This website was established to share information and generate support for the existing ban on new uranium mining in and around the Grand Canyon. 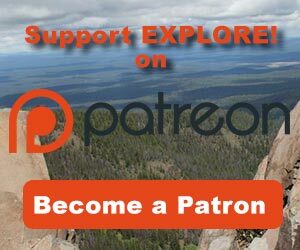 The content focuses on the outdoor enthusiast’s perspective regarding the risks of uranium mining to wildlife, habitat, and local economies and draws on the best known scientific understanding and academic studies as well as the on-the-ground observations of hunters, anglers and outdoor enthusiasts. The new collaboration draws together supporters of continuing the mining ban including Arizona Flycasters, National Wildlife Federation, Yuma Valley Rod and Gun Club, Arizona Elk Society, Backcountry Hunters and Anglers and several other groups plus 139 supporting businesses. The group argues that the risks from uranium mining near the Grand Canyon are too great, the benefits are very limited, and that the area around the Grand Canyon is simply not the place to mine for uranium. The group believes the current ban protects and preserves a national treasure, the water supply, local economies, thousands of jobs, and world-class hunting and outdoor recreation in northern Arizona. New uranium mining has been banned in the area for 20 years and concern is rising that the current administration may decide to open the area to new mines. Get all the details at protectyourcanyon.org. In government, data counts. If you can’t measure it, your chances of getting legislative support are nil. That’s why the outdoor recreation industry applauds recent congressional action to authorize $1.5 million in funding to continue to measure the economic impact of the outdoor recreation industry in the coming fiscal year. “Without this data, the outdoor recreation industry which includes recreational boating, won’t get the legislative support it deserves as a powerful economic engine. For recreational boaters, this can help support funding for critical recreational boating access to waterways such as constructing and maintaining launch ramps, improving navigation aids and fishing habitats, and backing other measures important to boating,” said BoatUS Manager of Government Affairs David Kennedy. “We thank the Senate Appropriations Committee for including funding for the Department of Commerce’s Bureau of Economic Analysis (BEA) Outdoor Recreation Satellite Account in its fiscal year 2019 markup.” The committee’s action paves the way for action at the full committee level. In February of this year, for the first-time ever, BEA completed a study that found the outdoor recreation industry’s 2016 annual gross output was 2 percent ($373.7 billion) of the U.S. gross domestic product. Boating and fishing activities totaled $38.2 billion, an increase of 4 percent over 2015. 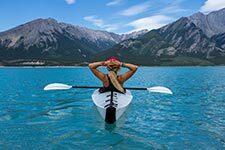 The BEA report also noted that the outdoor recreation industry, which includes boating, fishing, RVing, hunting, camping, hiking, bicycling and supporting activities, surpassed the U.S. agriculture and petroleum industries. Also applauding the Senate Appropriations Committee’s effort was the Outdoor Recreation Roundtable (ORR), a coalition of America’s leading outdoor recreation trade associations that work to promote the policy and legislative reforms needed to grow the outdoor recreation economy. 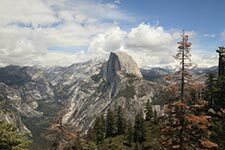 Yosemite National Park is now offering electronic entrance passes to visitors through YourPassNow, a digital marketplace that makes it easy and convenient for visitors to purchase passes and permits to public lands online. YourPassNow provides an alternative to the traditional paper-based, in-person purchase method while simultaneously providing public lands with a tool to help manage the visitor experience. Using a personal device, visitors can purchase passes and permits from yourpassnow.com. Once purchased, passes and permits can be downloaded or stored to an electronic wallet for immediate and future use. They are also emailed for those that want to print their pass or permit. Located in California’s Sierra Nevada mountains and covering almost 1,200 square miles, Yosemite was first protected in 1864. In 2017, Yosemite welcomed more than 4.3 million visitors. Yosemite joins the following national parks and forest lands currently providing electronic passes through YourPassNow: Acadia, Everglades, Grand Canyon, Theodore Roosevelt, Sequoia and Kings Canyon, and Yellowstone National Parks; Castillo de San Marcos and Colorado National Monuments; Whiskeytown National Recreation Area; Columbia River Gorge National Scenic Area; Wayne National Forest; and the Bureau of Land Management’s Lake Havasu Field Office. Hiking Gone Hollywood: Closed for nearly a decade, the ever-popular Skyline Trail that leads to the top of 404-foot Hickory Nut Falls in the Chimney Rock section of Chimney Rock State Park has reopened. The area near the top of the falls (where the final fight scene in the 1992 film The Last of the Mohicans occurred) once again provides guests with incredible panoramic views, now along a higher route and venturing deeper into the woods. Picturesque Picnic Trail Expands: Bearwallow Mountain Trail, a Hickory Nut Gorge-area trail known for its Instagram-worthy views, grazing cows and spring wildflowers, has recently expanded with the 3-mile Little Bearwallow Mountain Trail that goes to a 100-foot waterfall, towering cliffs and awe-inspiring views. Recently announced: Thanks to conservation easements, this trail will extend across the mountain in the next few years. More info on the Bearwallow Mountain Trail. JUST OPENED: Connecting Lake Lure with Chimney Rock State Park, the Weed Patch Mountain Trail, the newest leg of the Hickory Nut Gorge State Trail, is 8.6 miles of remote, rugged backcountry offering unrivaled solitude and absolute tranquility for hikers, mountain bikers and rock climbers. 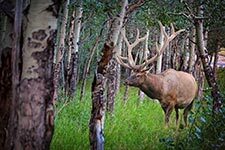 Elk-Watching in the Smokies: NEW for 2018, Asheville Hiking Tours is rolling out a biologist-designed, guided "safari-like" Smoky Mountain Elk Tour, with guaranteed viewings, the story behind the reintroduction of the creatures to North Carolina and the history and ecology of the Appalachian Mountains. 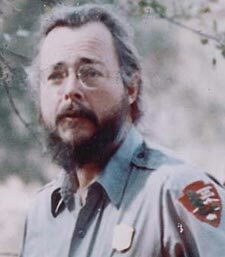 Almost 40 years after Chiricahua National Monument Ranger Paul Fugate went for a hike and vanished without a trace, the National Park Service (NPS) has raised its reward fund in the case to $60,000. Decades after initial leads in Fugate’s disappearance grew cold, new information has prompted NPS investigators and Cochise County (AZ) Sheriff Mark Dannels to renew their request for the public’s help in solving the 38-year-old mystery. On January 13, 1980, Paul Braxton Fugate, then age 41, was working in the monument’s visitor center in southeastern Arizona. At about 2 p.m. that day, he left the building to hike a park trail and was never seen again. Ranger Fugate was wearing his “green and gray” Park Service uniform, including the official NPS Arrowhead patch on his upper shirtsleeve and a gold-colored ranger badge pinned over his heart. Although search teams combed the surrounding area extensively multiple times, they found no sign of the missing ranger. Investigators suspected foul play early on, and a formal missing-person case remains open. During the first few years after Fugate’s disappearance, the reward fund grew to $20,000. With this renewed focus, the NPS is now offering up to $60,000 for information leading to Fugate’s whereabouts and/or the arrest and conviction of whoever is responsible for his disappearance. Summer Flash Savings on weather stations, outdoor clocks, and more at AcuRite.com! Sale ends tomorrow! Take 20% Off Full-Price Camp & Climb Gear at Backcountry. Use Code SMR20 at Checkout. Deal ends tomorrow! 30% Off Select Men's and Women's Merrell Footwear at U.S. Outdoor Store – Free Shipping! Camp Out & Save Up. Camping Essentials Starting at $19.99 at Sierra Trading Post. Enjoy everyday free shipping at $89+ with code SHIP89 at checkout. This week's special deal on bicycles and bicycling supplies from Nashbar. Buy One Turkey Dinner Casserole, Get One 50% OFF at MountainHouse.com! Click here for details. Chimney Rock State Park is located in central North Carolina. This week's video offers a look at a few of the park's offerings including a waterfall, some great trails and, of course Chimney Rock.